This month, Crisis Center of West Texas added two attorneys to our team. Please join us in welcoming Gaven Norris (left) and Marc Chastain (right)! 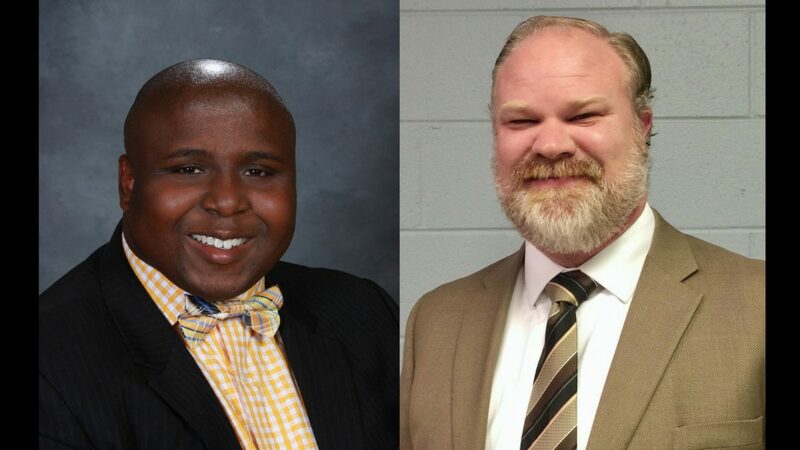 Norris and Chastain will join as a part of our Legal Assistance Program. Through the program, they will be available to provide representation on civil issues such as protective orders for family violence, stalking, or sexual assault, divorce, child custody, child support, SACPR cases, and immigration. Find out more about this program here. Gaven Norris, esq. is a native Odessan who relocated back to West Texas from Houston. Gaven is a graduate of The University of Texas of the Permian Basin. After obtaining an academic fellowship to study in Washington D.C, Gaven began working on national education, healthcare, and police brutality cases with the legislative branch of the NAACP. Gaven took the skills and lessons he learned from the NAACP and began implementing that knowledge in the Odessa community. While attending UTPB, Gaven founded and and served as the first chairman of The Black Leadership Council at UTPB, a community minded organization made up of students, which stood as the voice of minority students at UTPB. Under Gaven’s leadership, the BLC created UTPB’S annual Black Leadership Conference which included guests like Tiny Lister and the late Dr. Maya Angelou. Gaven is also a graduate of the historic Thurgood Marshall School of Law at Texas Southern University, where he served as an officer of the Barbera Jordan Chapter of the National Black Law Students Association, an editor of the Thurgood Marshall Law Review, and as President of the Student Bar Association. Gaven also served in the Texas State Capital, as a legislative assistant to Texas State Representative Yvonne Davis. Professionally, Gaven is a trial attorney who has worked for the legal departments of several Fortune 500 companies including BP- British Petroleum oil company, ExxonMobil, and Liberty Mutual Insurance Company. After obtaining his law degree, Gaven moved back to Odessa and began working as an Assistant County Attorney in the Upton County Attorney’s Office. Gaven is the owner of The Norris Law Group, a law firm that specializes in oil & gas law, all facets of family law including child custody, divorce, and child support. His firm also specializes in wills, probate, estate planning, and general litigation. Gaven is married to his wife Candace Norris, who he married in 2015. Marc Chastain is a native of West Texas. He grew up in Midland and graduated from Lee High School. Marc attended Texas A&M University and after graduation, returned to the Permian Basin. While working in the Oil Field, Law Enforcement and Insurance Industries, Marc saw the need people have for good legal representation. That motivated him to go back to school and become an attorney. He attended law school at Texas Wesleyan University, now Texas A&M School of Law. During his time in Law School, Marc gravitated to both Criminal and Family Law matters. His studies included internships with both Family Law Clinics and the Tarrant County District Attorney’s office. After graduating from Law School, Marc worked in Civil Trial practice before getting a job with the Ector County District Attorney’s Office. Marc now has his own practice which focuses heavily in Criminal Defense matters. Thank you, Gaven and Marc, for your commitment to our mission!